A picnic Fellini could have been proud of. 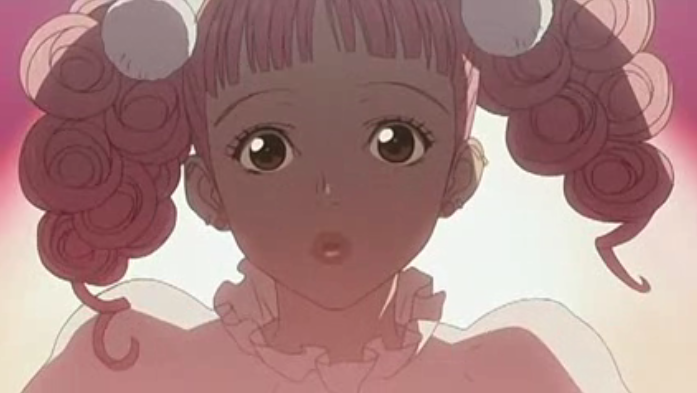 Paradise Kiss is the story of Yukari, a high school girl who falls in with a bad crowd. Instead of studying for college entrance exams, she disobeys her mother and tries to make it as a professional model. It’s difficult to blame her, since her new friends seem to be so much fun. Although they have their share of relationship problems, family troubles, and so on, they demonstrate an absolute devotion to their chosen craft: dress-making. Ultimately the show is about making decisions (work, family, and, yes, romantic decisions). Life is full of difficult people. 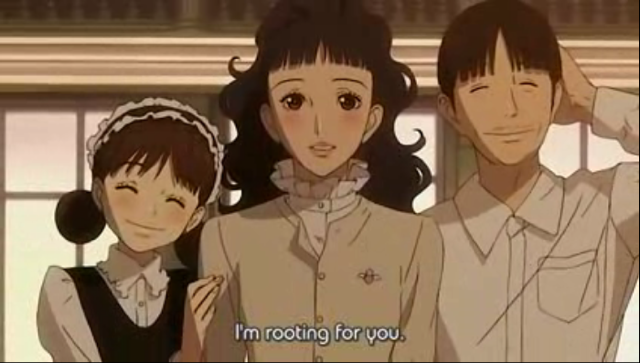 From the perspective of a show that is about people working on their career, something I have written about before, Paradise Kiss was a real treat. There were little glimpses into real pros, but most of the focus was on a group of art school students working on school projects. Nevertheless, the passion to make of them selves what they chose was inspiring. The challenges seem real, and the people in their differing abilities and seriousness are very credible. Vision of an angel in pink. One of the most compelling aspects of the show is the excellent artwork. 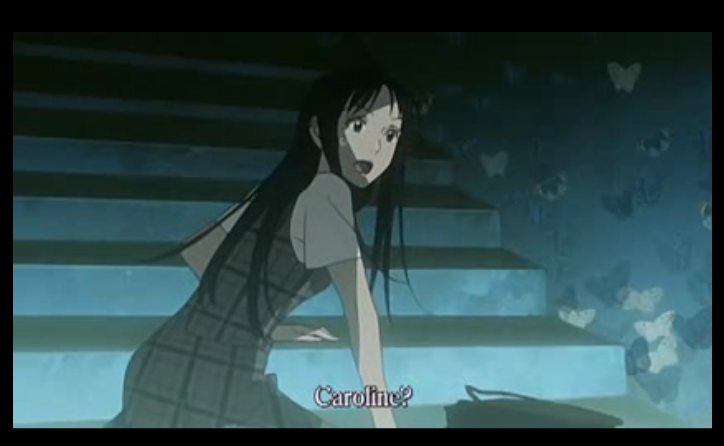 The show was originally broadcast (2005) in the Noitamina slot, and Madhouse Studios were in charge. It looks just as good as that makes it sound. At times, as in the screen cap above, the artwork makes effective use of very limited palettes. At times the artwork is realistic, and at other times the artwork is very stylized (super-deformed), but it always has a remarkable aesthetic presence, and seems to revel in presenting many different views of the various characters. Emotional intensity and life lessons at the atelier. Another thing I really liked about this show was that the character decisions were all very credible. I might have made different decisions, but I could always understand just why people were behaving as they did. This made for a mature story. Instead of people making the perfect decision, they made decisions that made them very human. Having been a human, myself, and having known several over the years, I found the story very believable, and thus it was very easy to care for these characters, even when I knew they were making mistakes. Yukari, AKA Caroline, is an easy character to like, despite her flaws. See it because you want to! 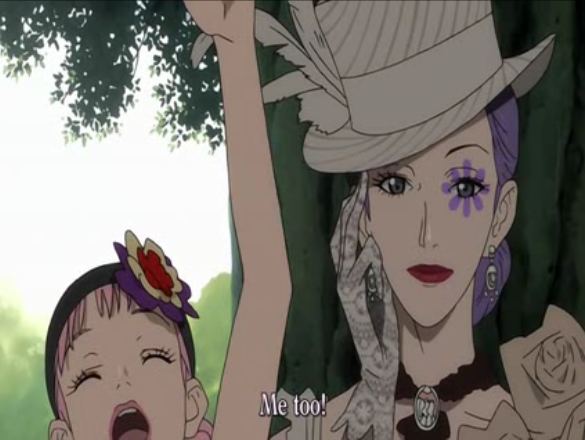 One last thing, Paradise Kiss had a good OP and a great ED. I’ll include both of them here. 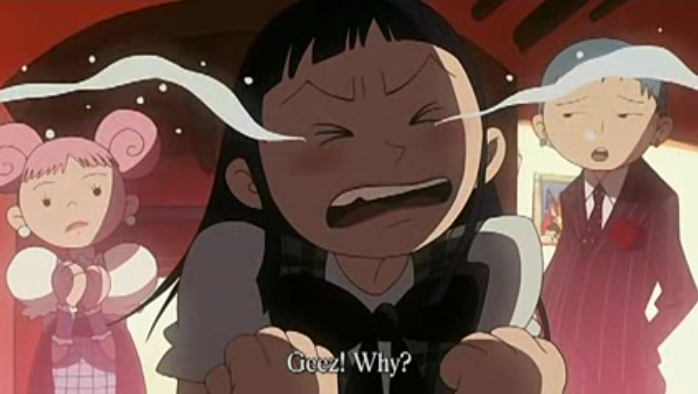 The OP (Lonely in Gorgeous) feels a bit more dated, with its synth-pop feel. The visuals draw on the previously mentioned realistic style. The ED (Do You Want To) uses the very stylized approach to visuals, and musically sounds like a song that was heavily influenced by David Bowie, which is very appropriate for a show about people trying to rule an art school. Yeah, this one sat in my backlog for too long, but I’m really glad I got around to watching it this Summer. It was very entertaining, and treated the audience with respect. Instead of a mix-n-match of anime stereotypes, we get an insight into some very realistic human behavior; in particular Yukari’s relationship with her mom had the kind of complexity (and problems) that gave it a ring of authenticity.